Sialic acids are negatively charged nine carbon monosaccharides located terminally on glycoproteins and glycolipids that control cellular physiological processes. Sialylation is a post translational modification (ptm) regulated by enzymes and has been studied in prokaryotes including bacteria, dueterostomes including vertebrates, Cephalochordates, Ascidians, Echinoderms and protostomes including Molluscs and Arthropods and Plant. Although diverse structures of sialylated molecules have been reported in different organisms, unravelling sialylation in insect biology is a completely new domain. Within protostomes, the study of sialylation in members of Phylum Arthropoda and Class Insecta finds importance. Reports on sialylation in some insects exist. Genetically engineered components of sialylation pathway in Spodoptera frugiperda (Sf9) cell lines have enabled our understanding of sialylation and expression of mammalian proteins in insects. 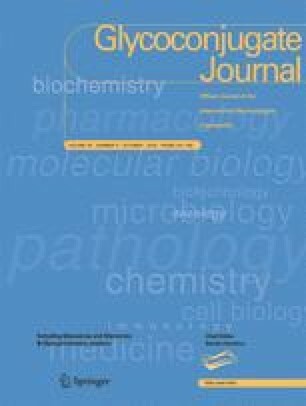 In this study we have summarised the finding on (i) sialylated molecules (ii) processes and enzymes involved (iii) function of sialylation (iv) genetic engineering approaches and generation of mammalian protein expression systems (v) a comparison of sialylation machinery in insects with that of mammals (vi) genes and transcriptional regulation in insects. At present no information on structural studies of insect sialyltransferase (STs) exist. We report minor differences in ST structure in insects on complete protein sequences recorded in Genbank through in silico approaches. An indepth study of all the components of the sialylation pathway in different insect species across different families and their evolutionary significance finds importance as the future scope of this review. The author acknowledges School of Biological Sciences NISER and HBNI, India for the study. This article does not contain any studies with human participants or animals performed by any of the author.